The henchmen of Cell are willing to destroy the earth and we will have to use the powerful saiyan warrior Goku to kill all of them. To carry out this fight, we will need a good control and aim of our shots so as not to miss a single one. Use the mouse of the PC to point and shoot the enemies that appear, taking into account that many times they will need more than one hit to die. You have to kill them before they reach your position and manage to take part of your life. Survive the waves of enemies to continue advancing the levels and defend the land from enemy attack in Dragon Ball Z. 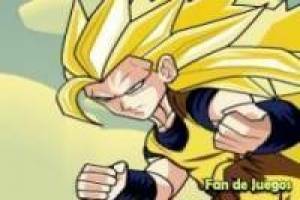 Enjoy the game Dragon Ball Z, defends the land, it's free, it's one of our saiyan games we've selected.